Sometimes I think that the pace of multimedia technology is slowing down. Obviously, I’m not paying close enough attention. I thought I would do a little 2011 year-end review of what happened in the world of open source multimedia, mainly for my own benefit. Let me know in the comments what I missed. The biggest deal in open source multimedia was the matter of the project split. Where once stood one project (FFmpeg) there now stands two (also Libav). Where do things stand with the projects now? Still very separate but similar. Both projects obsessively monitor each other’s git commits and prodigiously poach each other’s work, both projects being LGPL and all. Most features that land in one code base end up in the other. Thus, I refer to FFmpeg and Libav collectively as “the projects”. Some philosophical reasons for the split included project stagnation and development process friction. Curiously, these problems are fond memories now and the spirit of competition has pushed development forward at a blinding pace. People inside the project have strong opinions about the split; that’s understandable. People outside the project have strong opinions about the split; that’s somewhat less understandable, but whatever. After 5 years of working for Adobe on the Flash Player (a.k.a. the most hated software in all existence if internet nerds are to be believed on the matter), I’m so over internet nerd drama. For my part, I just try to maintain some appearance of neutrality since I manage some shared resources for the open source multimedia community (like the wiki and samples repo) and am trying to keep them from fracturing as well. It was big news that Apple magnanimously open sourced their lossless audio codec. That sets a great example and precedent. I mined the 'git log' of the projects in order to pick out some features that were added during 2011. That’s the new Origin Xan decoder (best known for Wing Commander IV cinematics) in action, something I first started reverse engineering back in 2002. Thanks to Kostya for picking up my slack yet again. 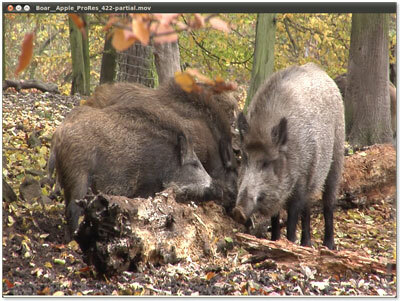 The FFmpeg project made a formal release yesterday. You can download version 0.6 from the project’s download page. I’ve actually been seeing more news items about this today than I would have expected. This is most likely because the 0.6 release is named “Works with HTML5”. Let it never be said that nerds don’t know marketing. The team really latched on to the hottest buzzword going right now. 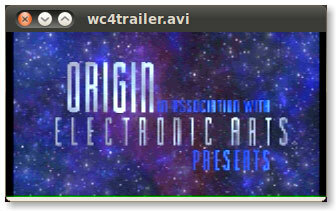 The name of the release refers to FFmpeg’s new native support for Google’s WebM format. It can mux and demux the WebM container, and decode the Vorbis audio, all natively (FFmpeg’s Vorbis encoder has been demoted to “experimental” for this release and it is recommended to enable libvorbis for encoding). But the big news is that this release can support Google’s libvpx natively for VP8 encoding and decoding, without having to apply any other patches. Getting libvpx to compile still might be a bit tricky. Fortunately, the first pass of a native, independent VP8 decoder is currently in review on the ffmpeg-devel list. At the recent Linux Foundation Collaboration Summit, I was chatting with someone heavily involved in a major open source SQL database program. I asked how he feels about the interminable hype surrounding so-called NoSQL databases. Among other sentiments, he mentioned that he felt positive regarding the fact that there is competition in the open source database arena once more which is driving much innovation. Of course, I have to frame everything through my multimedia lense and I pondered the notion of competition in open source multimedia development. Some of my fondest memories of open source development come from 2002-2003 when the xine and MPlayer teams were engaged in open war, trying to create the best open source multimedia player. The competition was a major factor. These days, the deepest multimedia development occurs on the FFmpeg project. FFmpeg is pretty much a category-killer. There’s nothing else like it in the open source or proprietary worlds (and if you think you know of a competitor, it’s probably using FFmpeg as its backend). Would things move faster if there were serious competitors to FFmpeg? Thanks to Daniel Verkamp for contributing a Kega video (KGV1) decoder to FFmpeg. I was about to demand samples for testing until I looked up what Kega is — a Sega game console emulator — when I realized that it would be more fun to create my own (be advised that only the Windows version of Kega presently supports the AVI encoding option). Then I looked up the Wiki page and realized that there is, in fact, one sample on record at the archive. Well, I went ahead and made my own sample anyway. 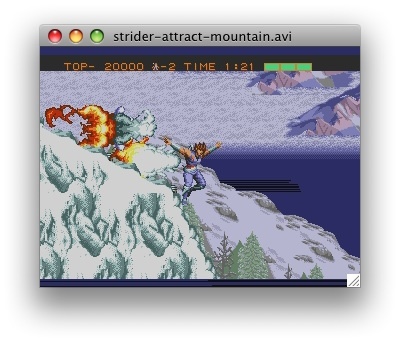 I used the mountainside attract-mode scene from the Genesis game Strider, one of my favorite sequences in any video game. It’s in the samples directory. I am holding off on adding a FATE test; there’s still an endian issue (PPC configs disagree with x86 configs). I’m also a little puzzled as to why FFplay insists on playing the video as 320×240 even though the video is encoded as 640×480. For that matter, I’m also bewildered trying to understand why Kega renders video as 640×480 by default; that’s not a native resolution for any of its emulated consoles.